If you don’t already have a similar app on your phone, this website might come in handy. 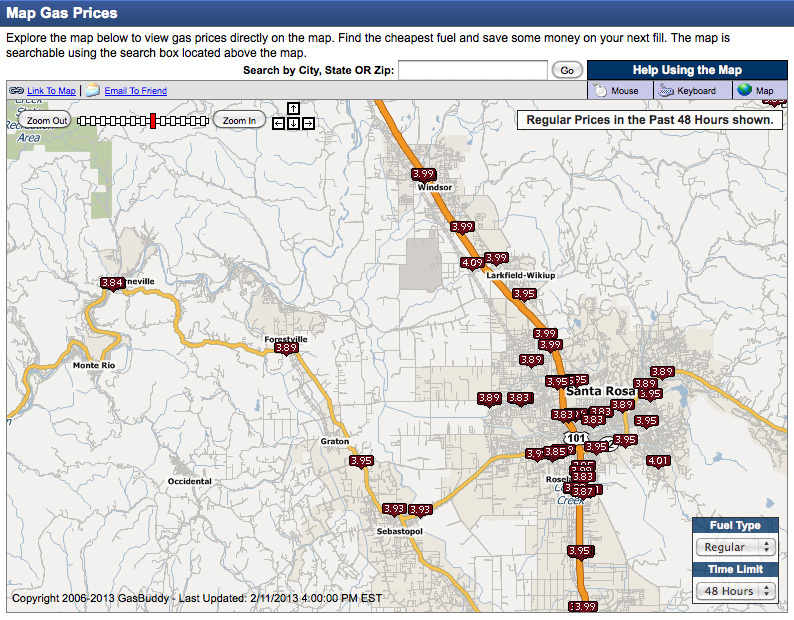 GasBuddy maps the price of gas in your local area (if you’re in the United States). Zoomed out it gives you average prices. Zoom in and get specific prices at specific locations. Pretty cool. Click the image or this link to go to the live map.